A light wool suit for the boardroom. 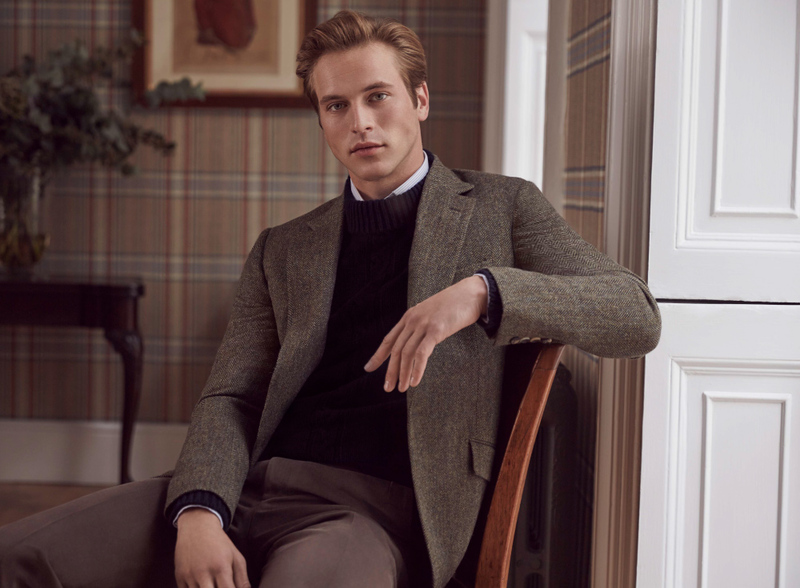 A tweed sports jacket for the country. A velvet smoking jacket for cocktail parties. For every occasion there is the perfect choice of cloth. 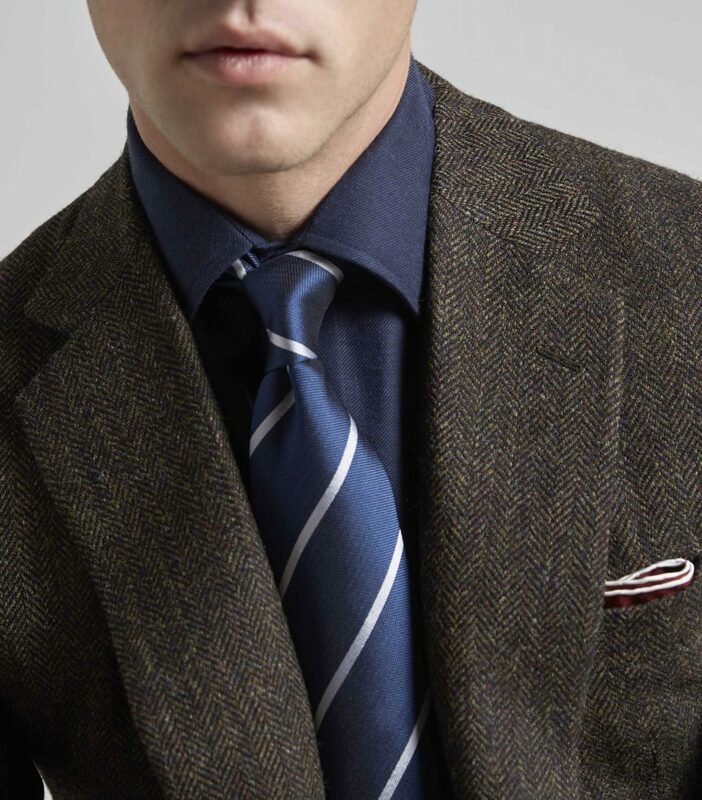 There’s something special about choosing the lining of a jacket or coat. Often only the wearer knows its there, others may catch a glimpse of colour, a hint of pattern, a suggestion of something more unusual. British screen idol Stewart Granger was one of the first Huntsman clients to have Hermes silk inserted into his mohair coat. 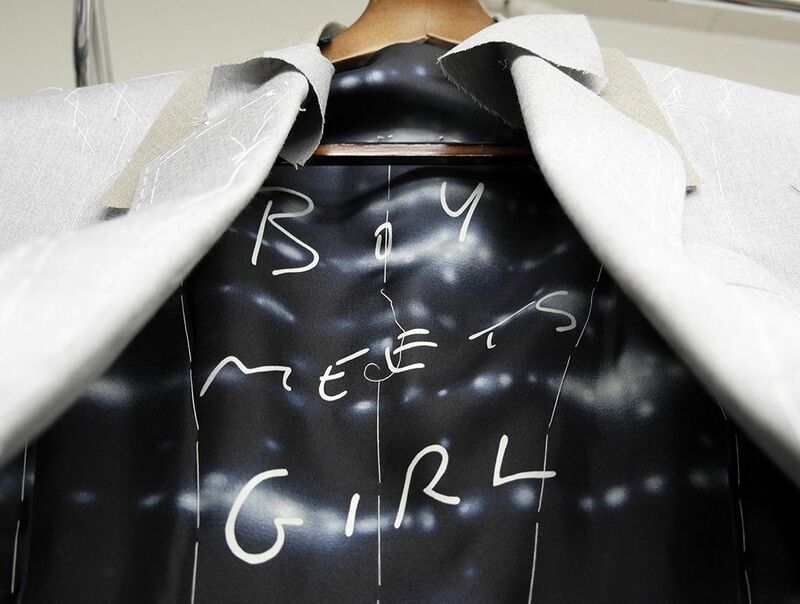 Now we have the technology to screen print designs on to silk, from Magritte’s ‘Man in a Bowler Hat’ to Ed Ruscha’s ‘Boy Meets Girl’, making this a truly bespoke experience. The positioning, intricacy and craft of embroidery brings a garment to life and makes it genuinely unique. Like the peacocks featured on a coat commissioned for David Bowie. 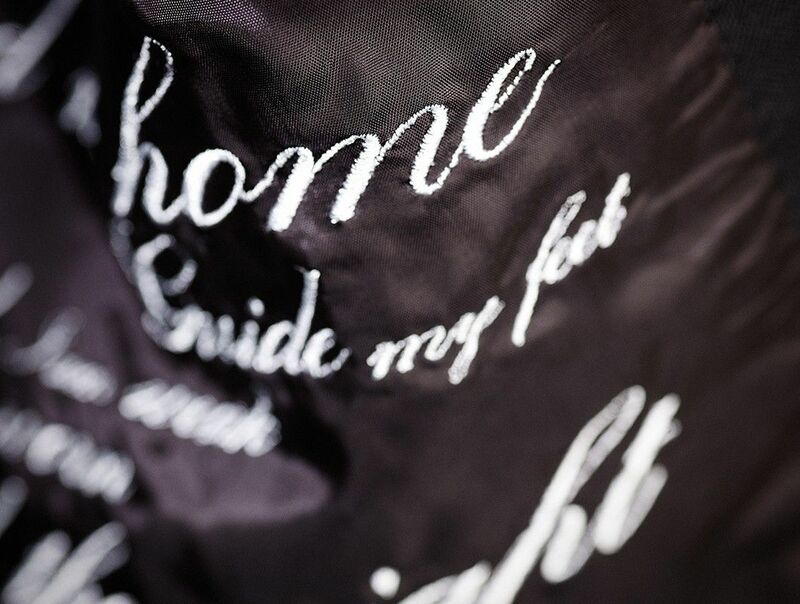 Or the words of Martin Luther King’s favourite song reproduced inside David Oyelowo’s jacket, worn at the Golden Globes to mark his performance as King in the movie ‘Selma’. 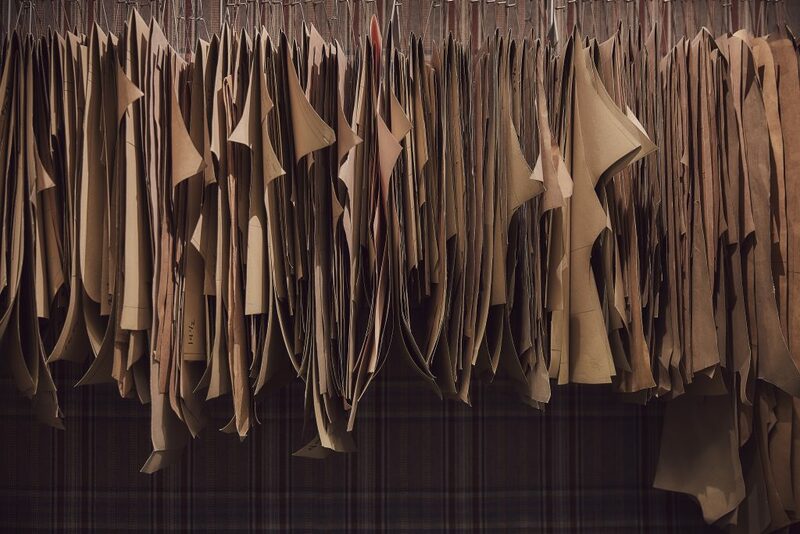 To enquire about creating your own bespoke lining, email us or telephone +44 020 7734 7441 or a +1 646 590 2595. 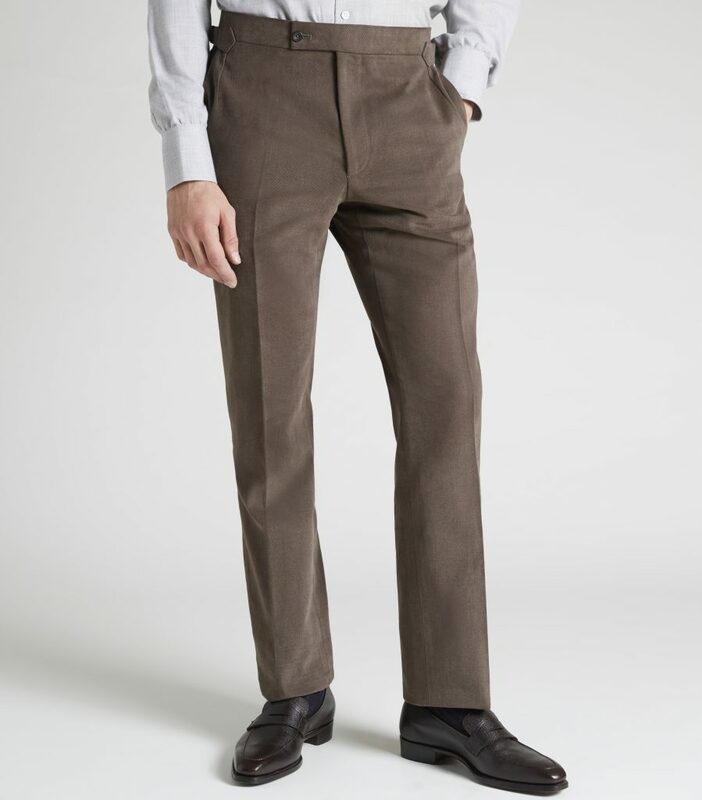 Huntsman garments are made to stand the test of time and it’s not uncommon to welcome a vintage piece back into our store. That’s why we source smooth, sophisticated fabrics that can adapt to different occasions and climates. We start with the fleece. 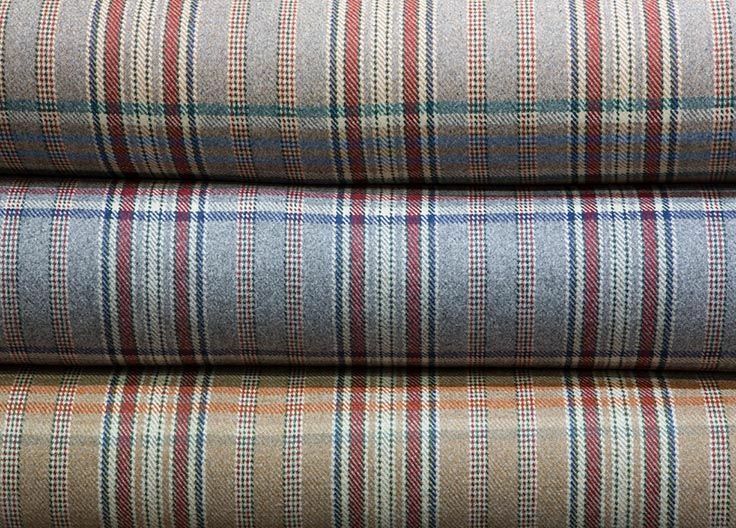 By working directly with mills and wool brokers, we’re able to secure the finest at auction. The lower the micron – a measurement used to determine the diameter of the fibre – the finer the wool. 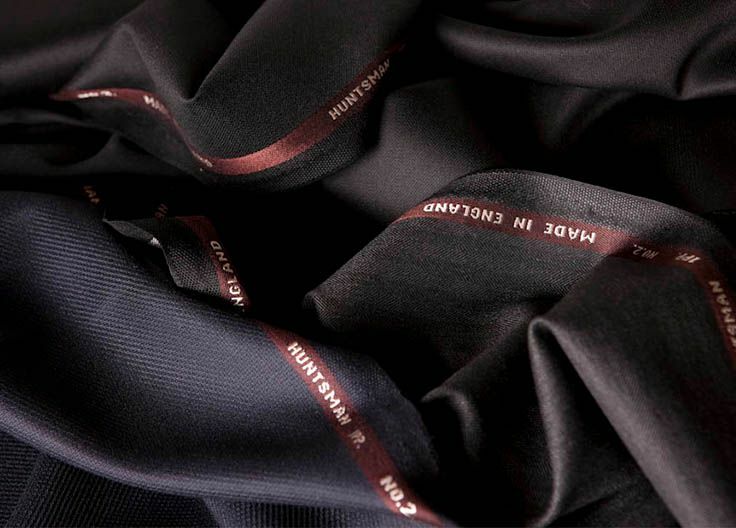 Our luxury cloth initiative was launched in 2007 with the 14.9 micron 1PP cloth series – a sell out. This was followed in 2010 by Opus, then the finest wool to go on auction in Australia. 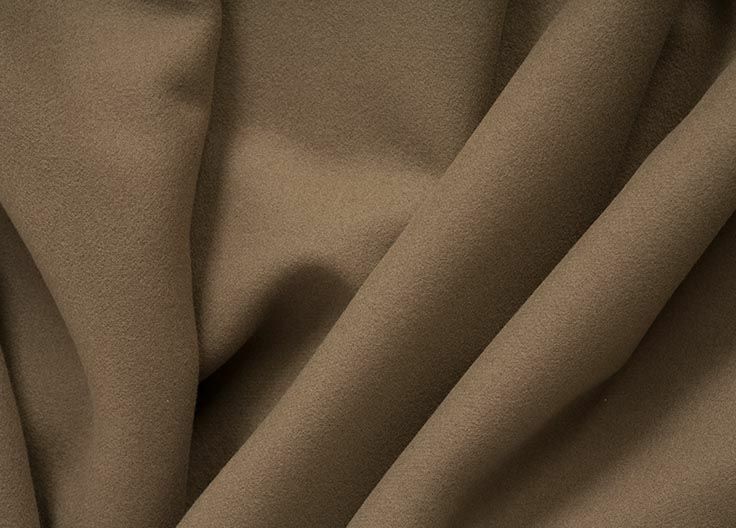 Our bale of 11.9 micron 1PP fleece was woven to a luxurious 230S quality and 310g weight. 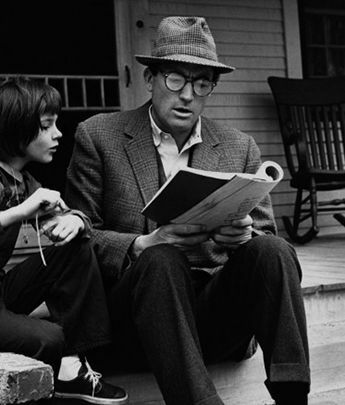 Only 34 suit lengths were made, woven into a staple navy twill and elegant herringbone, of which nothing now remains. 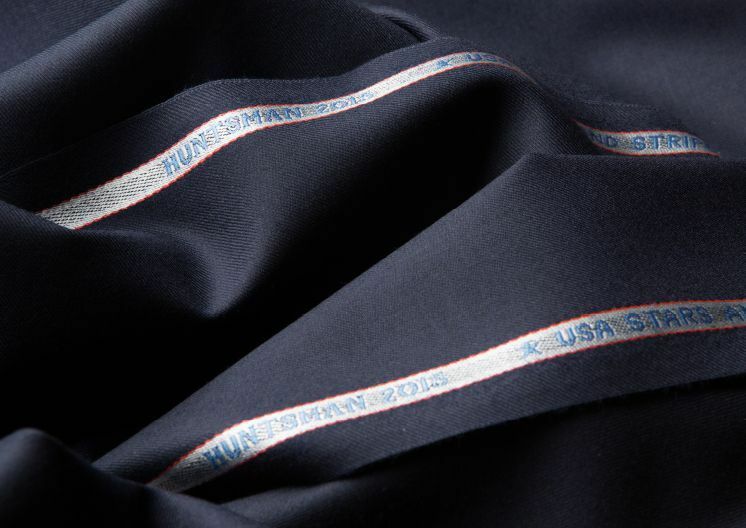 In 2015, Huntsman produced its first cashmere sports jacketing cloth in more than 60 years. 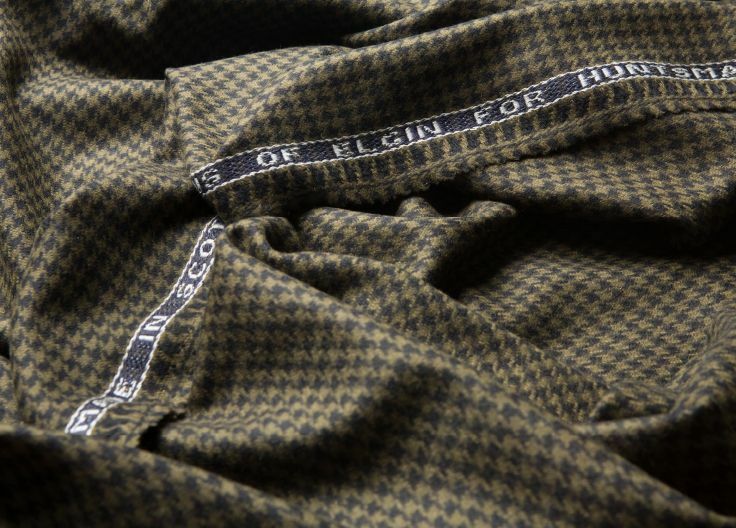 A faithful reproduction of a heritage Johnstons of Elgin cloth, first woven in 1953, this black, navy and olive houndstooth came to our attention when we exhibited the Gregory Peck archive of Huntsman outfits. 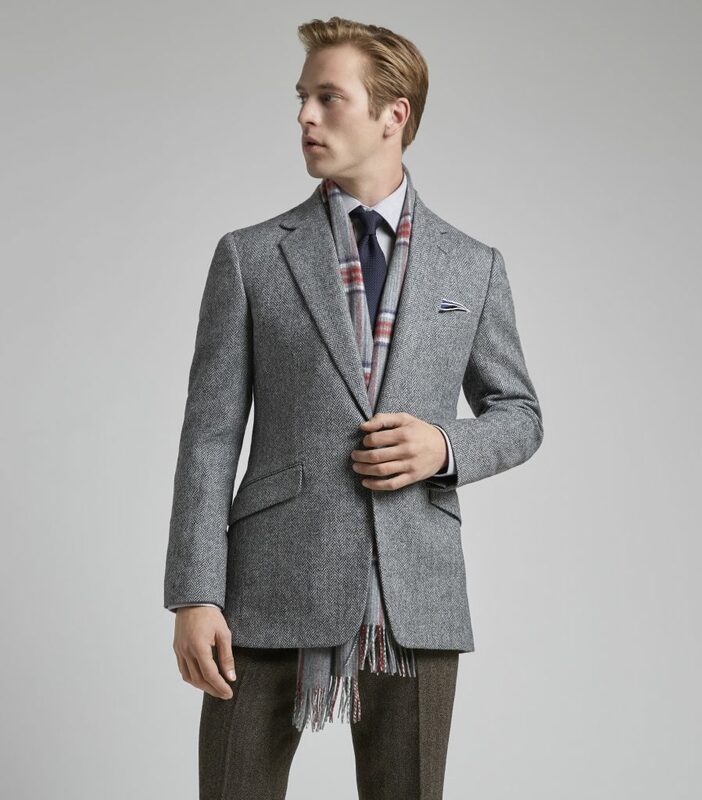 Of the 15 items on display, it was the actor’s houndstooth sports coat from 1961 that drew the most requests – for the cloth and the coat. 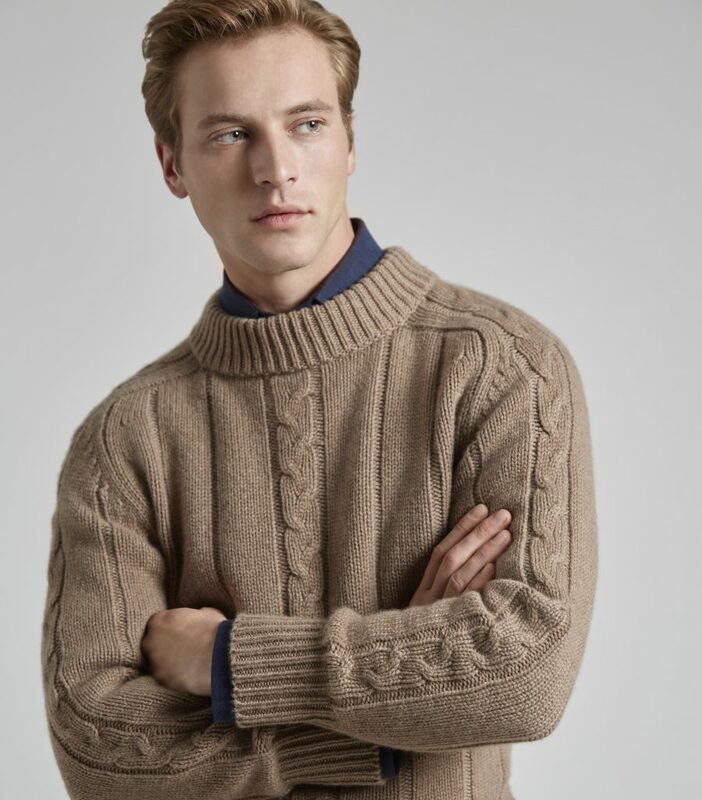 Intrigued to work with the fabric’s original mill, we were able to create a richly textured, soft cashmere yarn that transcended fashion while remaining distinguished and discreet. 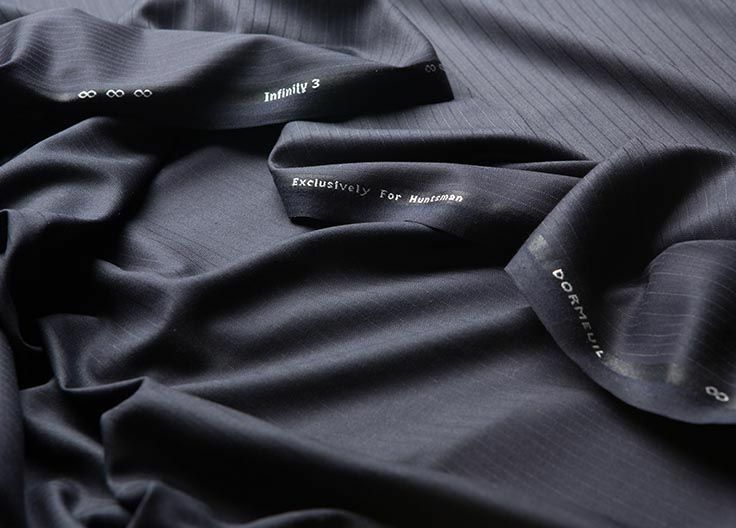 Keen to build on our luxury cloth offering, we launched probably the finest wool in the world in 2015: Infinity 3. 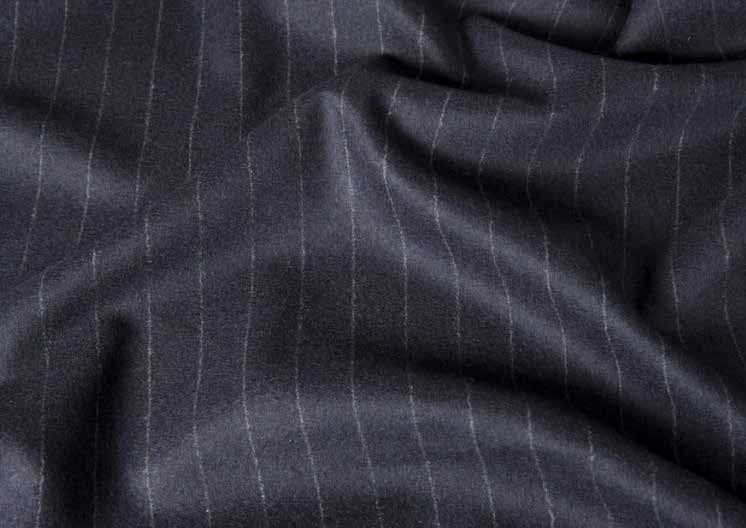 This navy, diagonal self-stripe suiting combines the purest traditions of New Zealand Saxon Merino farming with the cutting-edge expertise of Dormeuil’s woollen mill in Yorkshire. 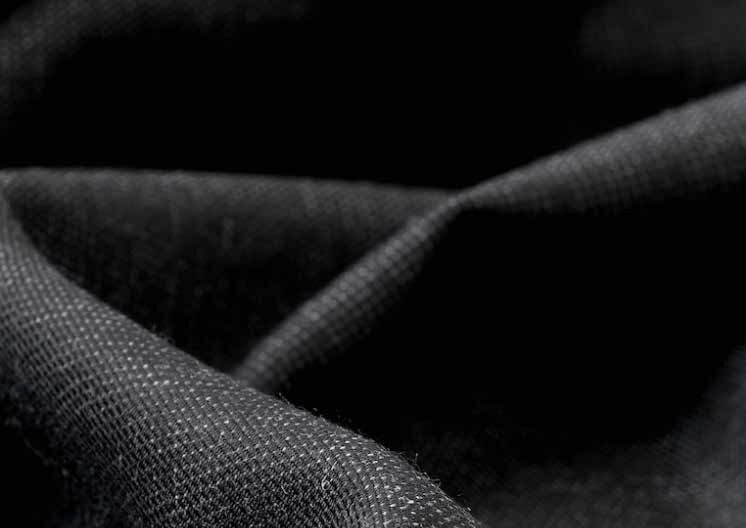 Measuring an average fineness of 12.6 microns, the finished cloth was woven to a super 230S quality and 240g weight, and is lustrous and deliciously soft, while maintaining its superior strength and elasticity. 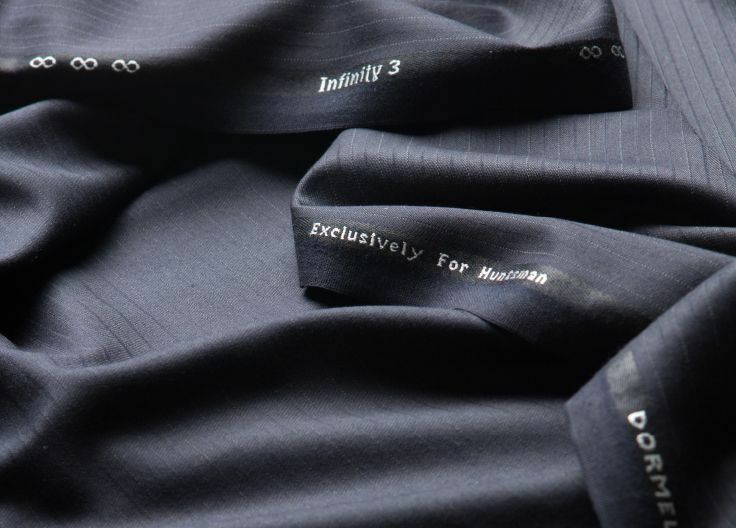 Limited to just 17 suit lengths, Infinity 3 fulfils our quest to create beautiful, quality cloth, which allows the skills of our cutters and tailors to shine. 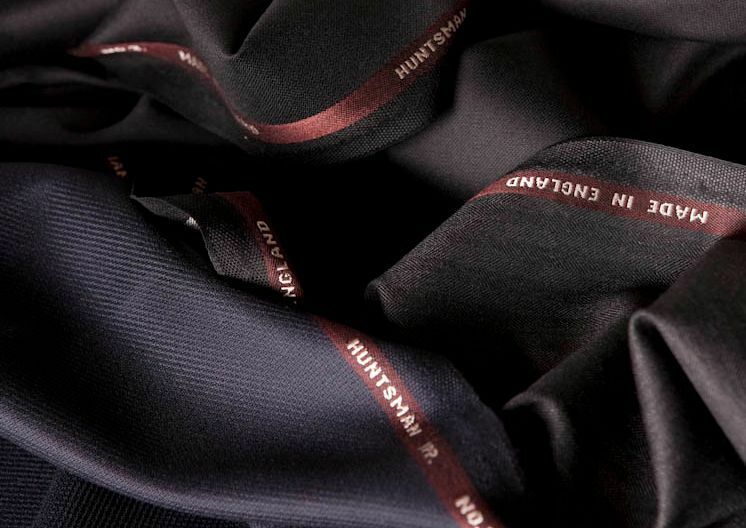 It is tradition at Huntsman to commission a classic house fabric each year that is brilliantly suited to wardrobe essentials, while offering clients the opportunity to wear something with an exclusive Huntsman feel. 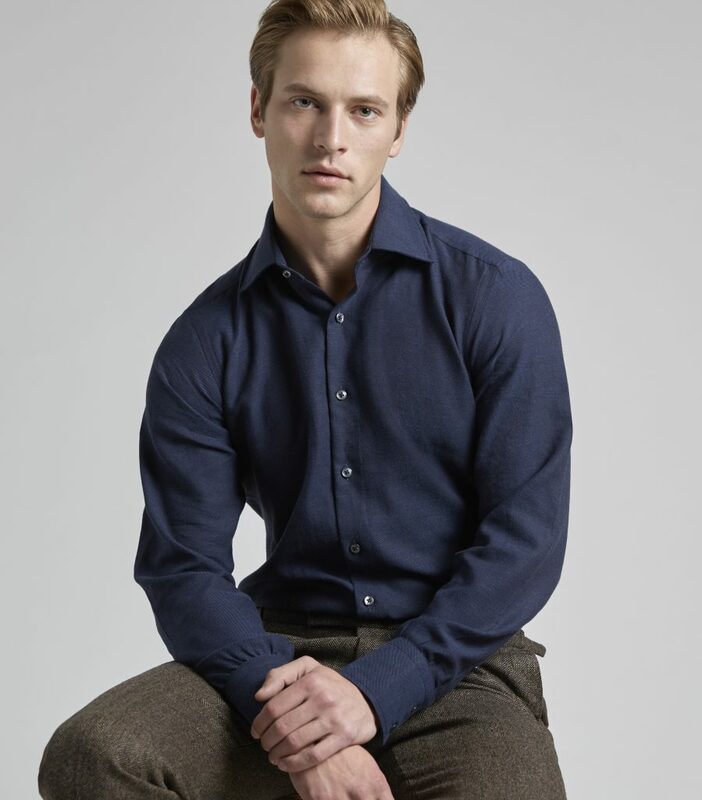 The chosen design is perfect for those who enjoy wearing rare cloths, and want to hit all the right sartorial notes while carrying weight in the boardroom.